Managing endpoints – smartphones, tablets, PCs, laptops and more recently IoT sensors and devices – has never been more challenging. Besides grappling with a diverse range of devices from multiple suppliers, there’s also the added complexity of updating and securing them to plug any loopholes that could be exploited by malicious threat actors. 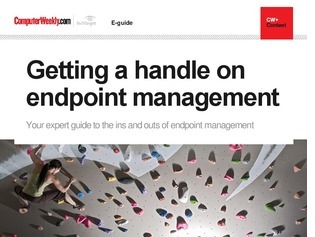 In this e-guide, read about the need for unified endpoint management, what an endpoint management strategy should cover and how endpoint security issues can be tackled.